Busking is a great way to build your skills as a performer while making money from your talent. A good, battery-powered Portable PA or battery powered amp is essential busker gear for many street performers. Like most skills busking requires hard work coupled with the right set of tools. We are going to look at three amplifiers which will help you build a great busking rig. Busking can take many forms from playing music, to dance routines and comedy. These amplifier suggestions are aimed to cater for a variety of users. We're going to discuss a few different options here including a selection of battery powered busking amps and battery powered PA systems for busking. If you don't want to read on, check out our best battery powered amps video below, where Dagan demonstrates some of the best portable, battery powered busking amps and PA systems. A long time favorite of buskers. The Roland Cube Street is lightweight, runs up to 15 hours on AA batteries and features 8 COSM guitar sounds, covering everything from acoustic to heavy metal tones. An AUX input allows for backing tracks to be played via phone or MP3 player but Bluetooth isn’t present, which is a shame. The Cube Street also features built in effects such as delay and reverb on both the instrument and vocal channels. What’s really impressive is it’s weight, which comes in at a mere 5.2kg. The Roland Cube Street delivers great tone for both electric and acoustic guitar with the Blackface preamp being a particular highlight to blues players using backing tracks. If you’ve ever wondered why so many buskers use this amp, now you know. The Laney Mini-ST-Lion 2 x 3w Battery Powered Guitar Amplifier is based on the coveted and highly regarded Lionheart series of Laney amps, providing a big sound out of a smaller, cheaper package. The Laney Mini-ST-Lion 2 x 3w runs on a 9v adapter or 6 AA batteries making it a great option for a busking session! We think this is one of the best battery powered amps for busking thanks to the fact that this super compact amplifier is actually pretty loud, thanks to the 2 x 3” drivers which deliver that impressive British tone that really put laney on the map. In addition, the Laney Smart Insert (LSI) socket allows you to connect your Android or iOS device to the amplifier for use with the Tonebridge App which allows the Laney Mini-Lion to generate any one of thousands of available guitar tone presets – this means you have an absolute arsenal of amplifier sounds at your disposal! If you’re part of a busking group or duo and you’re the one playing the guitar you’ll love this! The Bose S1 Pro PA System with Battery Pack may be a little more on the expensive side, but if you can stretch your budget it’s totally worth it if you value your sound when you’re out there busking. We think this is one of the best portable PAs for busking thanks to the fact you have a 3-channel mixer specifically designed to accommodate vocals and guitars at your disposal, Bluetooth streaming and a rechargeable battery pack included that gives you up to 6 hours of performance time. The Bose S1 Pro PA System has also been designed to be set up in different positions to give you the best sound possible, whether you’re positioning it on an elevated surface, tilted back, as a monitor in front of you or on a speaker stand. You also have specific settings to choose from via the Tonematch functionality and Reverb, Bass, Treble controls. The Bluetooth streaming capability means you can utilise backing tracks and play them through the PA whilst you’re jamming along, or you can use the same channel as an AUX in for any external sound sources. Plug and play, no nonsense setting up and a great deal of control over your sound makes it a perfect solution if you’re looking for a busking amp. Ok we said three, but we had to include the new kid on the block and serious contender. The Alto Transport 12 Portable PA System with Wireless Mic & USB might just be the ultimate buskers amp. It has 400 watts of pure power, 4 channels with dedicated volume controls as well as a free wireless microphone. In addition, there's also a USB input so you can play your own backing tracks! The 1st channel allows you to plug in an extra microphone or line level intsrument, channel 2 is for the wireless microphone, channel 3 is for your AUX inputs and channel 4 is for an line level instrument, meaning you can essentially have a full band busking with this single, battery powered PA. The Alto Transport 12 Portable PA System with Wireless Mic & USB is rechargeable and provides up to 8 hours of power, and it also has wheels and a handle to wheel it around too, so its easy to take with you through the streets! The Boss Katana Air is the worlds first completely wireless guitar amplifier. This amplifier allows you to completely get rid of cables and go completely wireless without suffering from any latency. This wireless amplifier features full battery support and is powered via eight AA-size batteries or included AC adapter providing 7-10 hours of playing time. However, it’s the included custom wireless transmitter that really sets this amplifier apart from any others out there. This transmitter plugs into your guitar or bass the same way a guitar cable would and transmits your sound directly to the amplifier providing up to 12 hours of playing time after a single charge. Best of all the transmitter charges directly via the amp – just plug it in to the amplifier and leave it charging for a few hours and you’re good to go. This is easily one of the best busking amplifiers ever created offering a huge 30 watts of power and zero wires to contend with! All four of these amps are bound to suit different purposes. If acoustic instruments are your forte then the Samson XP106 might just be the option for you. It delivers immaculate clean sounds for both vocals and instruments while its 20 hour battery life comes in handy for days out. With a simple multi effects pedal added, guitar geeks will be able to get their favourite tone easily. As mentioned above, this amp lends itself as a great foundation for building the ultimate busking rig which is why we feel necessary to include it within this list. If playing electric guitar is your passion and you’re looking for an amp to busk with on weekends then the Roland Cube Street is the one for you. It’s simple to use, has some great sounding preamps, handles vocals and acoustic guitar, and can be used for any style straight out of the box. 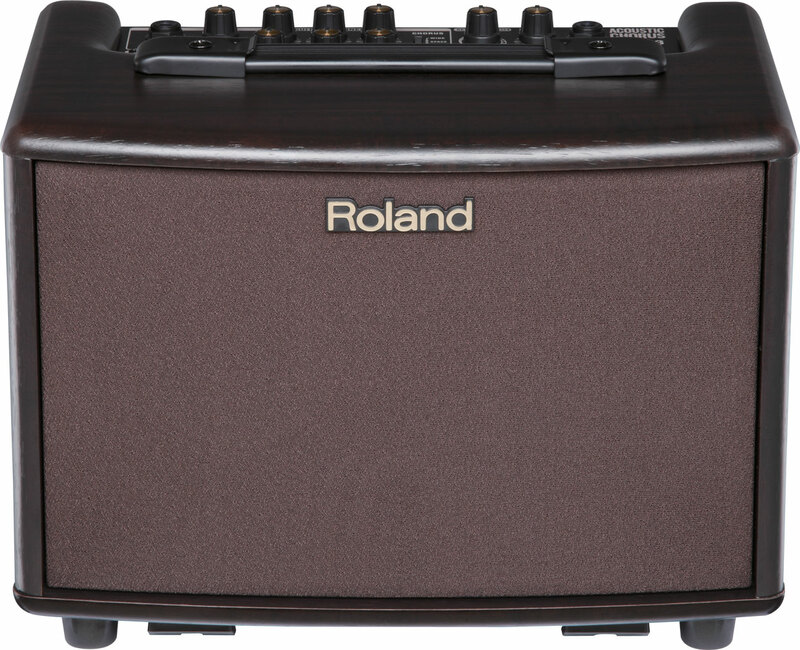 If this is your first busking amp you can’t go wrong with the Roland Cube Street. The star of the show here has to be the Alto Transport 12 Portable PA System with Wireless Mic & USB. While it’s more expensive than the Cube it packs some amazing features. The built-in control centre on the rear of the unit allows for a huge deal of control and even makes a fantastic option for DJ's as you can select, skip and edit the volume of songs you're playing from the USB stick. Acoustic players are catered for straight out of the box, and while you electric players out there will require the aid of a pedal for your effects, trust us when we say it’s worth the investment as it sounds great when you do hook up an electric guitar. It looks great, sounds great and offers more features than its competitors. For these reasons the Alto Transport 12 Portable PA System is our first choice for the all-round best busking amp. If you’ve made it this far then you should have a better idea of what gear you’re going to need to get started. You should make sure by this point that you have a well-rehearsed set list but bear in mind that while busking your typical listener will only take a few moments out of their busy day to listen to you. This means that setlists can be repeated. Use your own judgement to find a balance between well known songs and songs you can perform best. It’s also never a bad idea to have your setlist written down including song key and length. This will keep your performances structured and timings consistent. We would recommend switching up setlists every few weeks in order to keep your busking performances fresh. Location is almost as important as the performance itself. You should find a spot with a heavy traffic of passers-by such as high streets or popular bar locations. If people are shopping or dining nearby whilst you busk, they may be more inclined to leave a tip. Just don’t play too loud! There’s always a balance to these things. Ever heard of the peacock theory? (No, Peacocks aren’t trying to take over the world) "Peacocking" is simply dressing to stand out. It seems basic but if a frilled shirt or colourful trousers can turn heads, then why not? It also prompts passers by to give you a listen. If you come across as quirky or interesting then people are always more inclined to help you out. Seriously, though: if you are going to busk in bad weather, be sure to keep your equipment dry! If you shop with PMT you’re already a smart person. This one is self explanatory. Having a guitar hardcase can be very helpful. Remember to put up some links to your social media (Facebook, Soundcloud, Twitter etc). Busking is a lot of fun but to make life easier for yourself maybe try out a ¾ size guitar or even a ukulele. Try to find a balance between something you’re happy to use and something that is easy to lug about. From everybody here at PMT, we hope you found this article useful, found some essential busking gear, and that you have a safe and enjoyable time busking. We have supplied a few links below to additional gear which you may find useful. Great article and really helpful in researching the options. Having said that, I just got a Laney AH4. Really nice mini pa with 6 channels, Bluetooth, fx, etc. Etc. For the same price as the Roland and the Mackie (£249). This article is fantastic! Really helpful. Still confused! I need a busking amp for TWO acoustic guitars plus TWO mics. Where you mention four channels does that mean four xlr/jack sockets? Yes, I'm new to this! would a yahoo tr10 amp compare well for busking? Just wondering if those amps are ideal for bass guitars too? Will be working in a small band/on my own and i'd like to have the right gear for the job. Hi, I'll like to use the Mackie Freeplay in small gigs/rehearsal for a Cajon using the Roland ECM-10, a loop pedal and one vocalist. Would this handle this ok ? What portable amp would you recommend for a harp. hi I would like to go busking .. just my guitar and singing.. would the roland cube be any good for this ? Also could it accommodate a violin if needed ? or would you recommend something else.. is there something else so there were two singing micsand two instrumments ? I had my heart seton a cube but now I'm wondering if something else might be better... please let me know.... thankyou !!! I need to play my digital Roland piano at an outside gig. Would one of these do the job? Grateful for your replies! Torn between the roland and alto, but the new fishman charge sounds interesting. I also do some public speaking so leaning towards the Alto. Can you use other mics on the alto with a guitar plugged in? I.e. a higher quality shure one for example? Thanks, Neil. Hi there, you could actually use a looper pedal to do this. 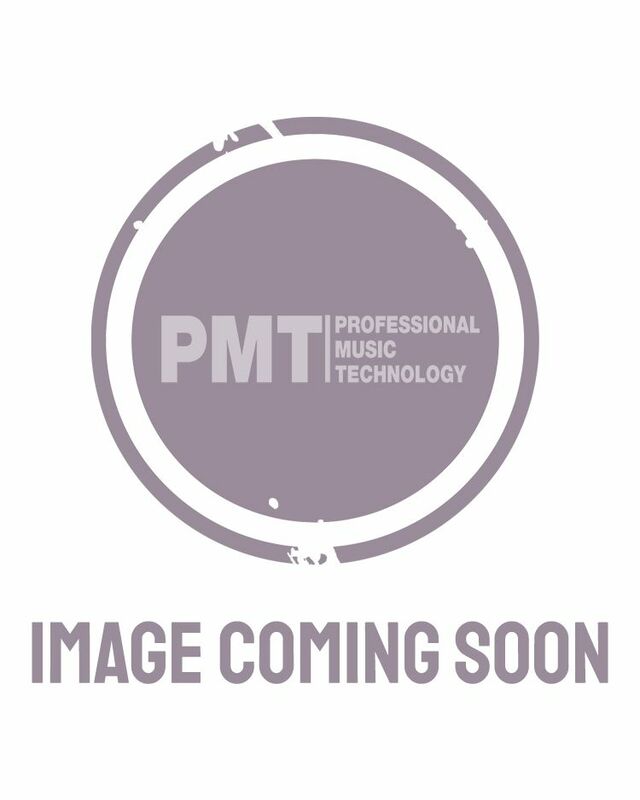 We recommend the Boss RC-1 https://www.pmtonline.co.uk/boss-rc-1-loop-station-pedal or RC-30 https://www.pmtonline.co.uk/boss-rc30-loop-station-pedal. Hi, I need a battery powered amp that’s suitable for 3 mics & playing backing tracks from an iPad. It doesn’t look like any of these will do that, although I was hopeful for the Alto. Any ideas appreciated? Hi Gemma, i'd suggest talking to our experts on 0151 448 2089 as this is definitely one for our PA experts! Which amp would be louder for street busking. Roland street cube or boss katana air?